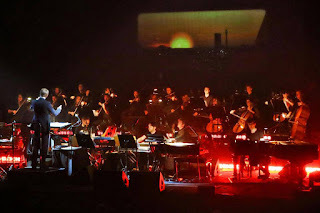 Organizers have announced a new project, Moments Lost, to produce music and art, inspired by the world of Blade Runner. 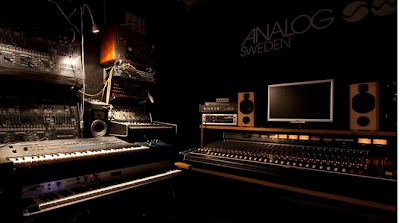 We’re approaching the creation of the music with a rig similar to Vangelis’ original setup, of course including the Yamaha CS80, Roland VP-330 strings and Rhodes. On this track we also used the Prophet 5, Jupiter 4 and Analogue Solutions Vostok mk1. 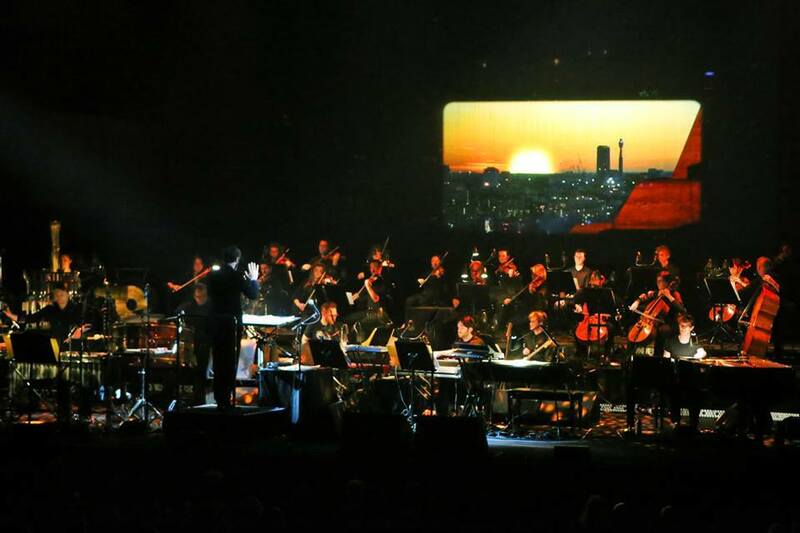 The working methods are also inspired by Vangelis, using a live and direct approach to capture the energy and feel of the original recordings where everything is played by hand. No midi is or will be used, only analog sequencers will be used. Together with a professional writer we’re creating new small stories, called moments, that will be the themes for the music, and to please the eyes we’re working with illustrators Kilian Eng and HR-FM for the creation of the album art. You can find out more about Moments Lost at the project site HERE. In the dark, we hear a lone electric cello. We discover a crumbling, tattered, discordant planet earth, decades after most of her original inhabitants have become extinct or moved on to greener pastures on the red planet. Those humans who remain are either hopelessly irradiated... or not human at all. Artist, Scott Pettersen, once again delivers! 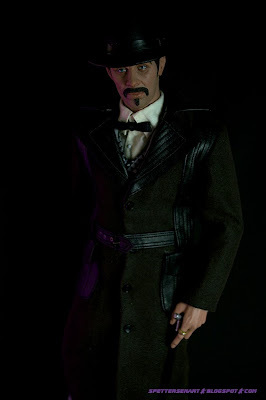 His latest figure, Gaff is now available for pre-order. 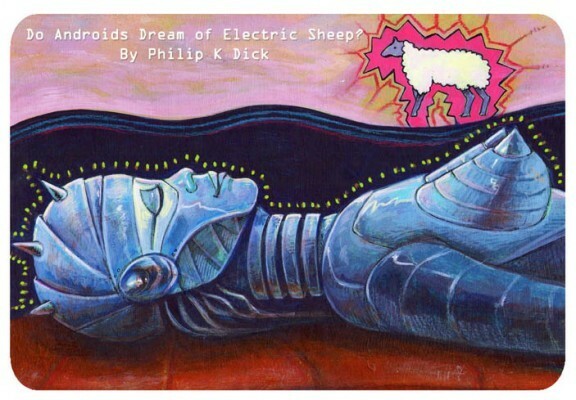 'Do Androids Dream of Electric Sheep'. Artist Scott Pettersen brings Blade Runner characters back to life in action figure form. An article on this is available HERE. In a recent interview for her upcoming horror movie "Jug Face", it was reported that actress Sean Young discussed her knowledge of Alcon Entertainment's Blade Runner sequel, and that she suggested that everyone boycott it if she is not involved. However, Sean Young has officially confirmed that the negative remarks reported in Entertainment Weekly were fabricated. More on that can be read HERE. An interview with the artist is available HERE. Grumbling Fur - The Ballad of Roy Batty from Thrill Jockey Records on Vimeo. 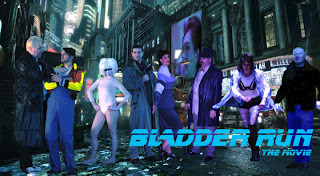 This week geekhost Bri gets an education on the 1982 Ridley Scott film Blade Runner. 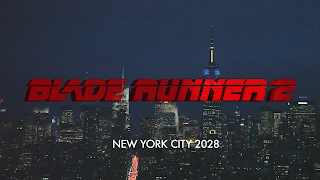 -- Blade Runner Sequel Moving Forward with Writer -- A sequel to Ridley Scott’s “Blade Runner” is gaining momentum, with Michael Green in talks to rewrite the script from Hampton Fancher, who also wrote the screenplay for the 1982 original. More HERE. 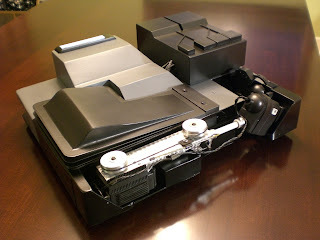 -- Voight-Kampff Machine Rebuild -- Joberg, a member of the Propsummit forums, constructed a model of the V.K. 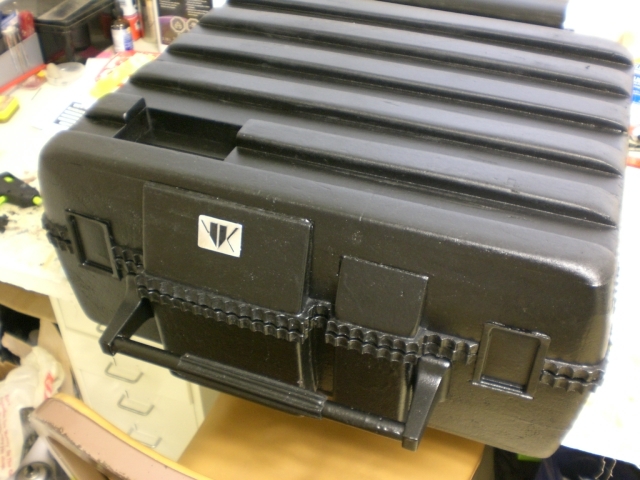 machine and case. 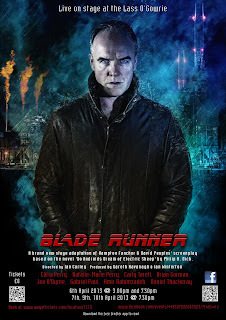 Propsummit is a Blade Runner prop community forum. 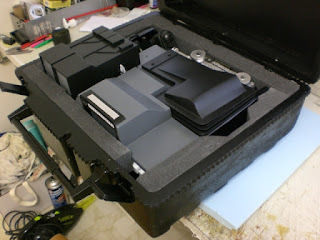 There, prop builders share their creative endeavours, from Blaster kits, Off-world Blimp, and action figures to Deckard's ID, Leon's photos and so much more. And it has even featured appearances by those who worked on the movie, like production illustrator Tom Southwell. This is the closest V.K. machine from the original prop. As Joberg wrote in the forum, "It's a static piece and therefore not accurate, (also some of the measurement and scale are a little off). Is it the closest to the other V.K's. found on the web? Yes it is. ... but short of the real thing, it's only a close interpretation." To learn more about this project and to see more photos, you may visit the forum HERE for the V.K., and HERE for the case. Joberg would like to thank all at the forum for their support. And he couldn't have done this project without a few people: Bwood for showing some of the details and the work that Mike Fink & Co. put in, Nick Daring for his series of HD pictures and Tom Southwell who gave the forum members so much information in such a short period of time -- the Polaroids and behind-the-scene stuff that became reality instead of dream. 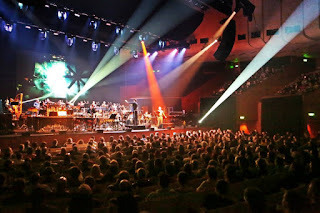 -- The Heritage Orchestra nailed the Music from Blade Runner on Sunday at a packed Sydney Opera House - making its Australian premiere on May 25th. HERE is a review. 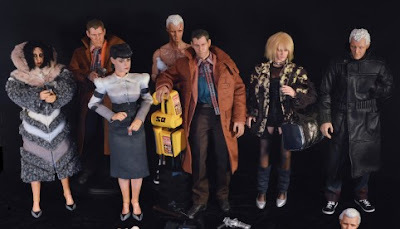 Blade Runner Stop Motion Scene- Travis Ramsey from Ursula Murray Husted on Vimeo. 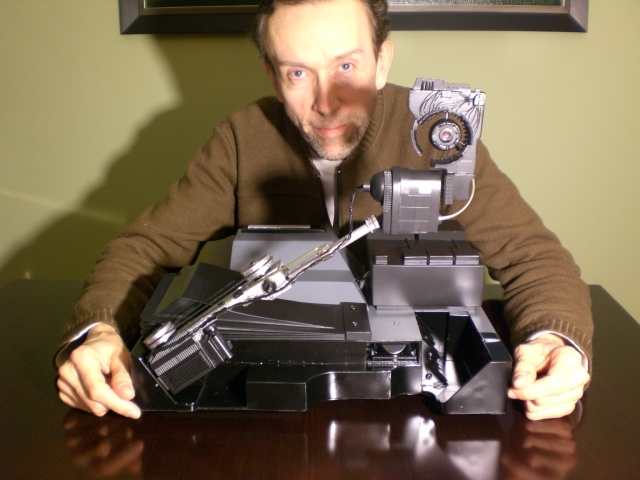 --Tom Southwell, production illustrator on Blade Runner, has recently joined the Propsummit board – a free community discussing the props of the film Blade Runner. And he has kindly agreed to take part in answering and shedding light on some long discussed mysteries. 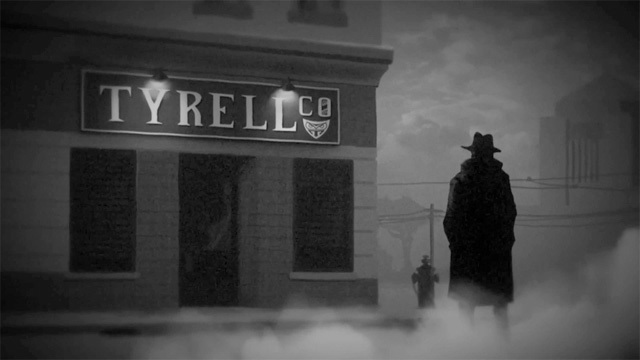 Southwell designed many of the logos, neon signs and minutiae of the film. Most of the designs that were developed are hardly seen, but they really do contribute immensely to the overall look of the film. 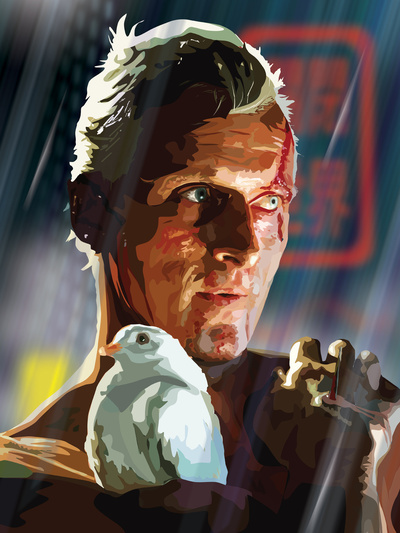 Some of what's been discussed as of this writing, Deckard's key card, fictional magazine covers, the VidPhon face plate, spinner logo, stickers for the parking meter, patch on police uniform, and the small tattoos on Rutger Hauer for the character Roy Batty. And he also shared some photos of the VK prop being constructed/built. I must admit, I was unfamiliar with Tom Southwell and his work before putting together this article. And I realized that, without his participation, some things certainly would have looked different and have a different atmosphere. 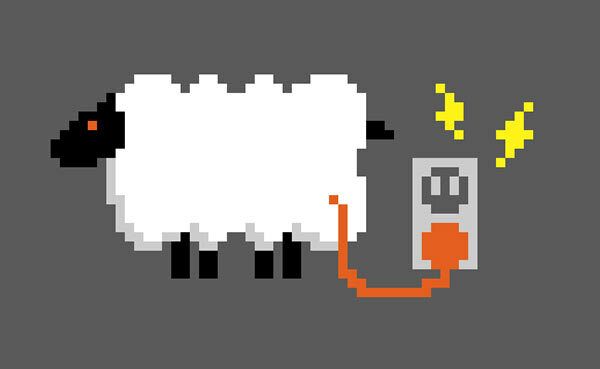 For example, the Japanese ideogram - the fluorescent light that is behind Deckard as he's reading the newspaper waiting for a seat at the noodle bar. That was his work! 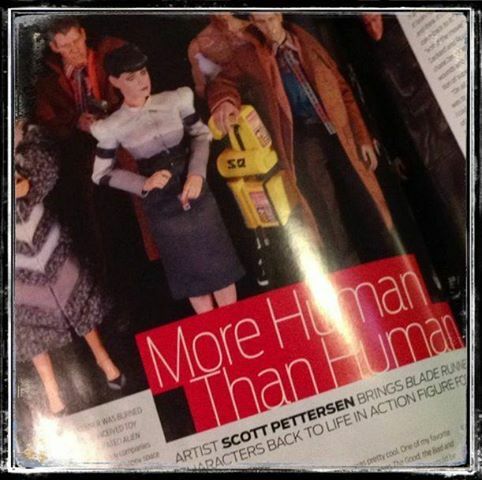 And it is an image that is a part of the fabric of Blade Runner. 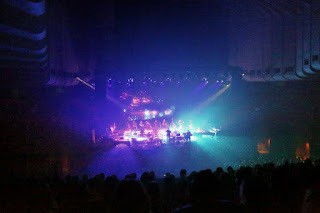 And, in the research, I found that one article mentioned he listened to Vangelis during his tenure working on the set. 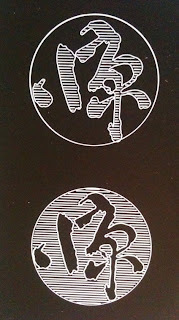 So, in the Propsummit forum, I asked him to elaborate a little on the Japanese ideogram fluorescent light. And, being a Vangelis fan myself, (which was how I was introduced to this film), I bundled that query in with my question. Below was his reply. 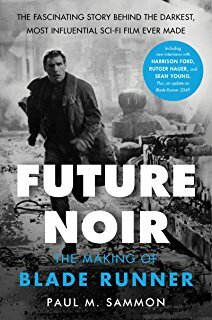 “When I started on Blade Runner there was a VHS tape of some of Ridley Scott's commercials floating from person to person within the art department. 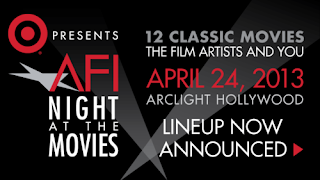 Many of the commercials had music by Vangelis and I was a fan of his. He had just been awarded an Oscar for Chariots OF Fire and it was a big hit on the radio. In the art department most of us wore headphones and listened to an eclectic mix of things to help give us focus and privacy. “My work was illustration and graphics -- details placed within the sets -- neon signs being the most visible. I bought every tape I could find by Vangelis and played them in my head while I drew those neon signs, car graphics, costume patches and badges. The music seemed to fit perfectly. 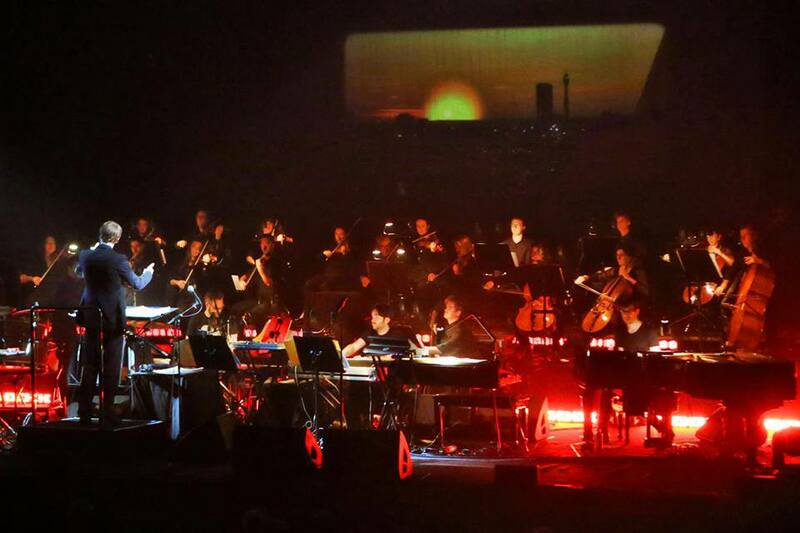 However, no one ever told me Vangelis was going to do the movie score. It was a complete surprise to me in the theater, for the crew screening, when his music played. Of course I was delighted. “When I was interviewed for the Dangerous Days documentary, they asked me about a variety of subjects just outside my area for my opinion. I guess I just gushed about Vangelis, and they put it in the movie. A score puts an emotional heart on the sleeve of a film and it lifts you and crushes you as the film moves you along. Vangelis gently invades your soul. Beats you up. Makes you fall in love. Breaks your heart. His gift to Blade Runner cannot be measured. It just IS. 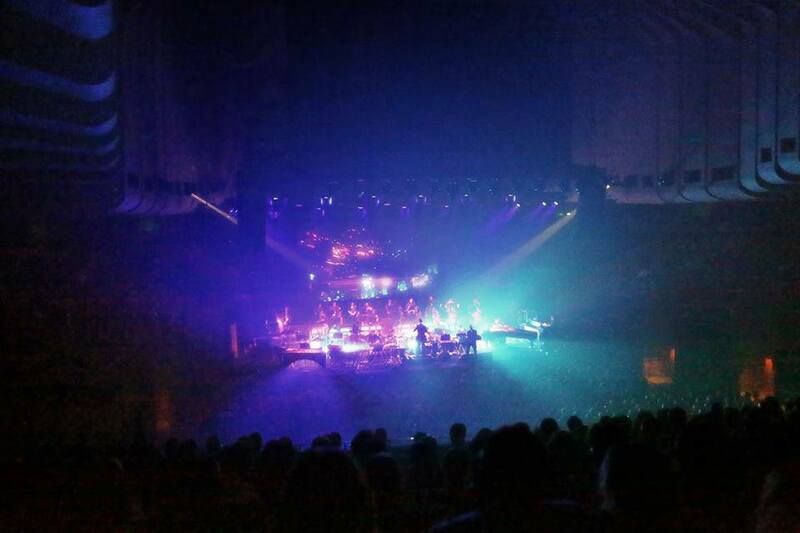 Vangelis' music and Blade Runner are forever one. Frozen together." 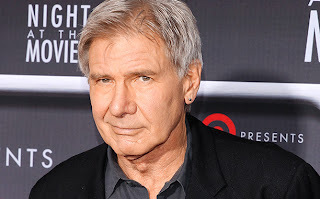 “I designed all the neon behind Deckard in that shot, but it was Ridley who chose to put it all there behind Deckard. Mr Scott saw the neon signs in the storefronts of the back-lot street once they were delivered but before they were hung. He asked to have the sign you mentioned placed in the window behind Deckard. Lawrence G Paull, the production designer, had planed it for another location, but would make a similar one for just that spot. On the day of the shoot, Ridley requested three more Japanese signs I had designed for merchant carts be moved to the big glass window behind Deckard. “These neon colors did something magical to the set at night. Colored light blends in a strange way and Ridley and the cinematographer captured something special here for the introduction of Mr Deckard. “The top one was mounted high on a building, while the lower one was behind Deckard waiting by the White Dragon. And this one was also moved around into the subway entrance and other places (you can see these in the out-takes in Dangerous Days.) They also appear on the blimp and parts of the city made in miniature. “Filming neon is a bit like filming fire. The image is altered by it's own luminescence. To get the neon signs to remain visible and not "burn out" or overexposed and become a white blur, the special effects team had to hook-up these neons to individual dimmers to bring down their brightness following instructions from director of photography, Jordan Cronenwith, and Ridley. To learn more about Deckard's key card, the fictional magazine covers, the VidPhon face plate, and other props Tom Southwell worked on, stop by the Propsummit forum! 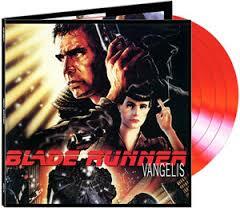 --Vangelis' Future-Noir 'Blade Runner' Soundtrack Retrofitted for Red Vinyl Reissue. Read article HERE. A video, titled Blade Runner Mastering with Kevin Gray in studio, is available to view in the video section below. Mastering engineer, Kevin Gray discusses the remastering work on the reissue of Vangelis, "Blade Runner." The Audio Fidelity release is a 180g red translucent vinyl contained in a colorful gatefold jacket with many scenes from the movie. This title will be released on April 16, 2013 at Amazon. --CITYSPEAK: SPECIAL EDITION. 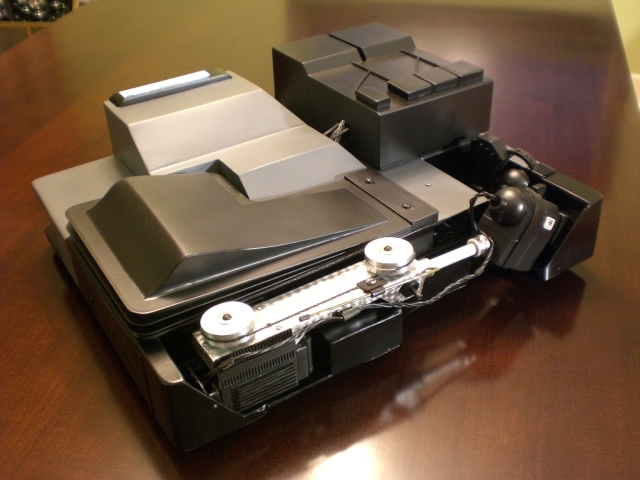 This installation of CITYSPEAK: SPECIAL EDITION was available online a number of years ago at ALZ'S BLADE RUNNER website. Then it disappeared. Now, it is live and available once again. Although the above link goes to the CITYSPEAK Revisited website, most of the stories will be linked to Alz'z website. A few of the longer stories will be featured at the CITYSPEAK Revisited website for an easier read, (on one page). If, for some reason, Alz's web content goes off-line again, I do have a back-up of the available data and will upload it to this website. Note: Sara Campbell's story, "Memories of Green", is not available with this lot for some reason, (although it is mentioned in the forward). I will continue to search for this and any other possible missing stories or poems that were originally included in the CITYSPEAK: SPECIAL EDITION. 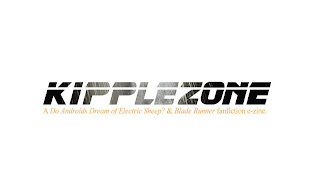 --Done in 60 Seconds: Blade Runner remake wins Jameson Empire award! 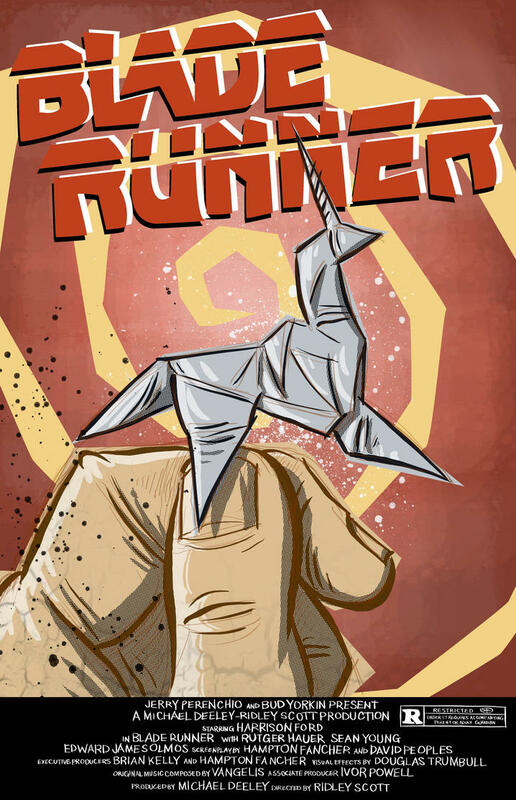 Briton Philip Askins wins the Done in 60 Seconds competition with his one-minute remake of Blade Runner. His black-and-white animation beat off competition from 15 countries to win the award, which Askins praised his acceptance speech as a platform for amateur film-makers to be seen and test their creative skills. Watch the video HERE. 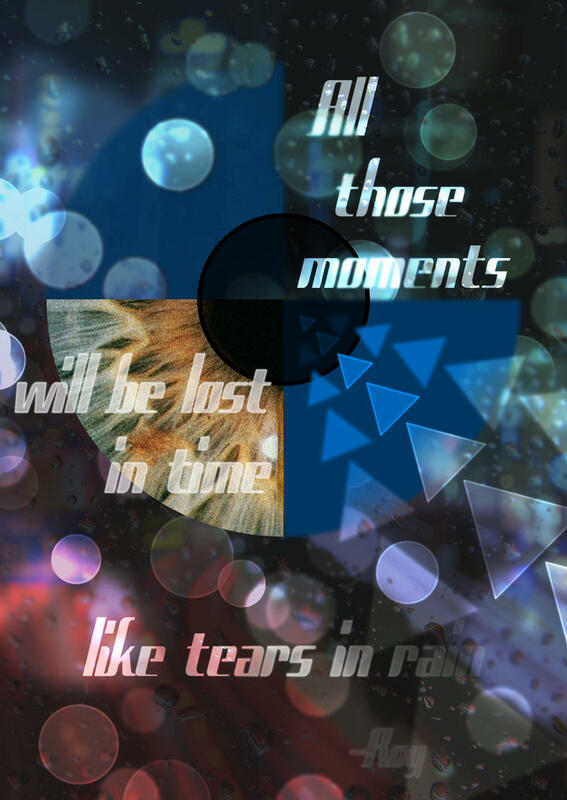 --Tearsin the Rain is a tribute to the movie Blade Runner. 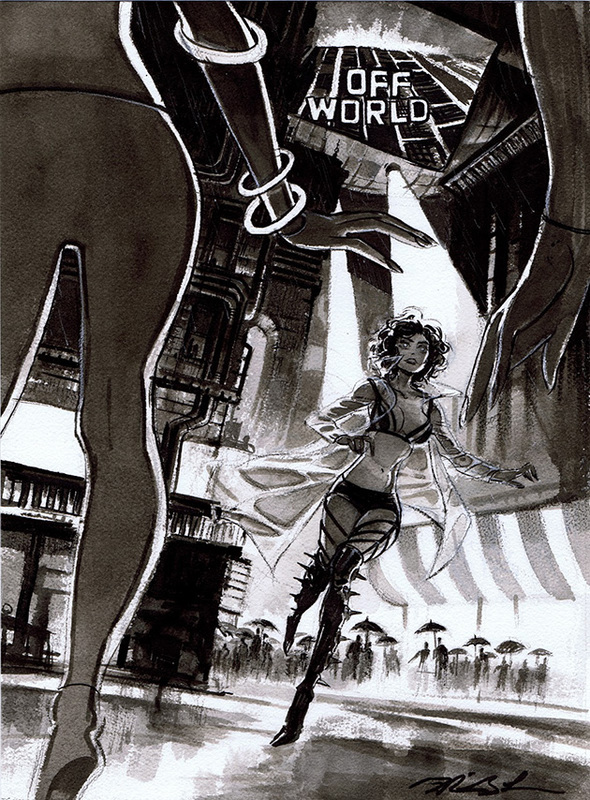 This short film, directed by Christopher Grant Harvey, predates the events in the movie back to the Tyrell Corporation's Nexus-1 generation of Replicants. Indistinguishable from human beings, the Nexus series were superior in strength and agility to that of human beings. Their senses were likewise superior, and never deteriorated. In 2014, Replicants began to display erratic and even violent behavior. Though they were not designed to experience emotions or develop long term memories, they did have artificial memories installed. This opened a pathway for a serious flaw to develop in their artificial brains. First they developed destructive emotions, followed by the ability to form new memories. In the wake of the corporate scandals of the previous decade, the Tyrell Corporation attempted to quietly remove the Replicants from circulation before serious damage was done to their reputation. John Kampff – the man in charge of this special unit – is tasked to hunt down the few remaining Replicants. The process is known as retirement. John Kampff does not have a foolproof system for identifying all the Replicants. Carrying out the job becomes difficult and morally questionable, as the possibility exists that he could retire a human by mistake. 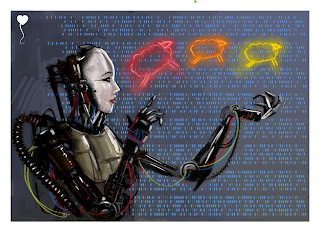 Kampff will soon develop a device to help other “retirement engineers” identify Replicants reliably – this device would come to be known as the Voight-Kampff machine. 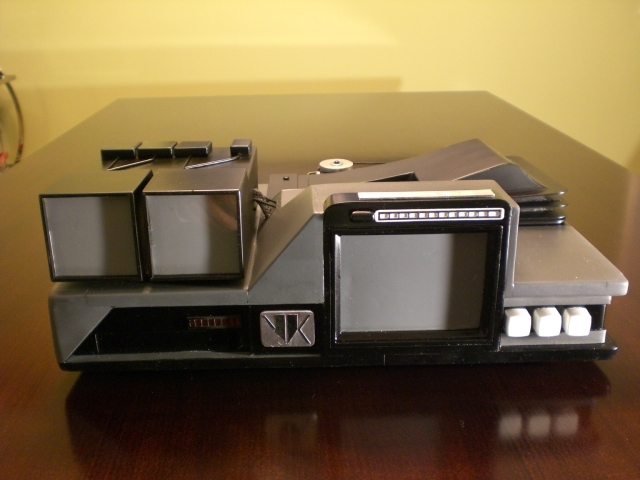 The Voight-Kampff is a polygraph-like machine used by retirement engineers to assist in the testing of an individual to determine if they are human or a Replicant. The movie is being produced by Andrew MacDonald. Christopher Grant Harvey co-wrote the script with Evan James Dembskey. Between them, they spent two years on and off in their spare time making small contributions to the script. 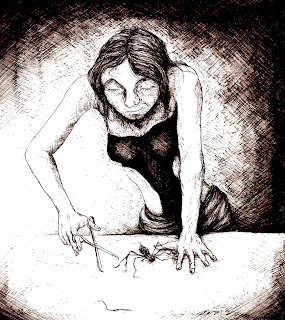 It wasn’t until late in the writing process that the story actually began to take shape. 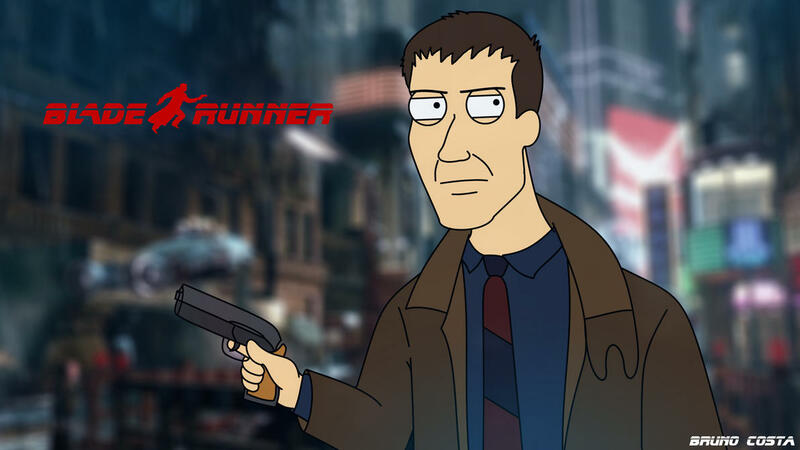 "It could have been easy to write a story about some guy who hunts down Replicants and chases them through the city in a cool car chase scene. That was what we wanted to stay away from. In my opinion, we took a tougher route and focused on characters. In this day and age of CGI and fast paced gaming and social content, this is a risk. However, the story should always come first. And we believe there exists a group of fans – new and old – who will appreciate what we tried to do. 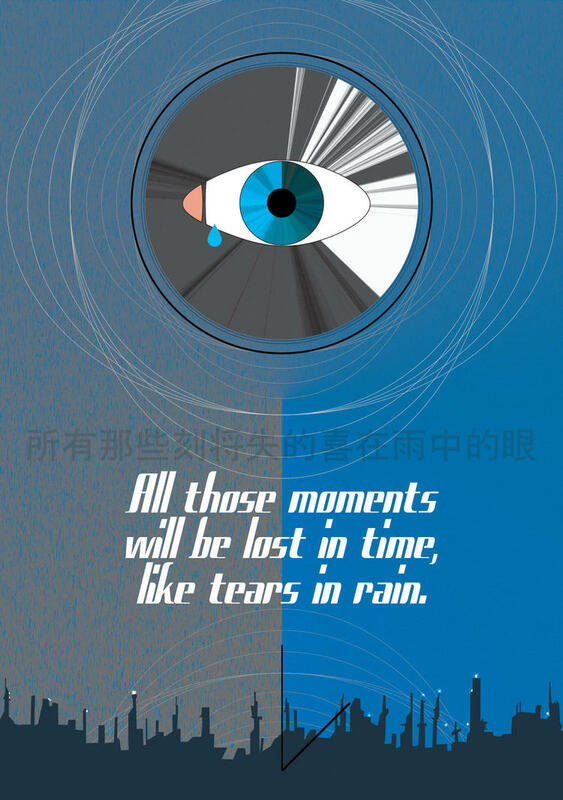 "The story of Tears in the Rain is a prequel of sorts, but not linked to the previous characters. So we had some room to play with. The goal was to capture the essence and the spirit of Blade Runner as much as possible." I was given the privilege to watch a scene. It was in the raw, before VFX, color grading, and sound design were completed. But it was still awesome. 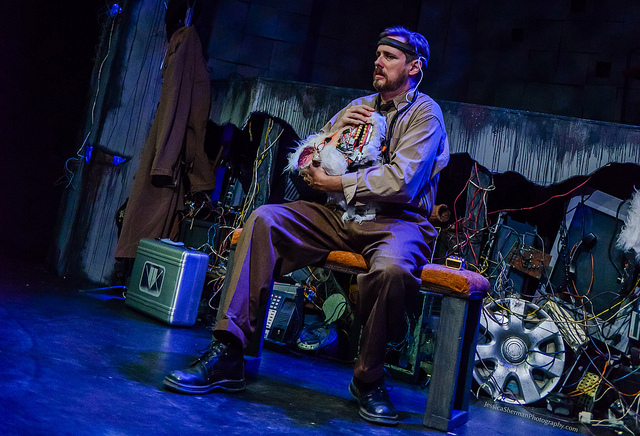 The lead character, John Kampff, (performed by Sean C.Michael), was very good. He displayed a wide range of emotions from start to finish, effectively portraying the characters inner feelings and moral turmoil. And the role of the Replicant, Andy, (performed by Russel Savadier), was an excellent performance. The clip kept my attention and wanting more. And I like how the writers lifted influences from both the book and the movie. I look forward to seeing this completed. The composer for this film is Geo Hohn. Harvey has made progress with music and the final grade, he wrote me in an email last night. And he is hoping they can have it all wrapped by June or July. You can check for updates on their Facebook page HERE. --Bladder Run, an homage to the sci fi classic Blade Runner, is still hard at work on their production. According to their last blog entry, dated March 10th, there are only a few scenes left to complete. You can track there progress on their Facebook page, HERE. 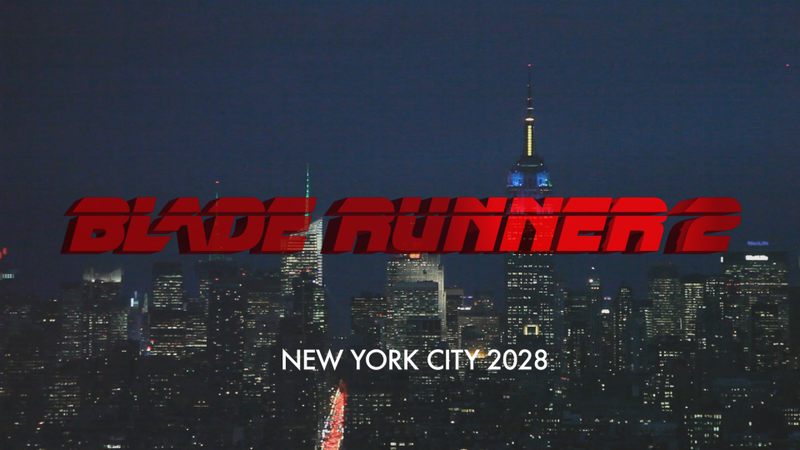 --BLADE RUNNER 2, an indie fan film that takes place eight years after the original movie, continues work on its production. According to their Facebook page update on March 26th, they finished editing a scene they shot the previous Wednesday. It is when Rachael and Deckard meet for the second time. She is sort of taunting and stalking him at the same time. He is her new project, something to do, and he just wants to find what he lost -- Rachael, who is right in front of him. But he can't have her. You can follow their progress on their Facebook page HERE. 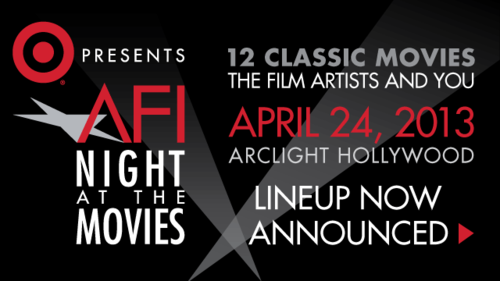 They are arranging a Sneek Peek / Q&A Screening in NYC in early MAY, 2013. 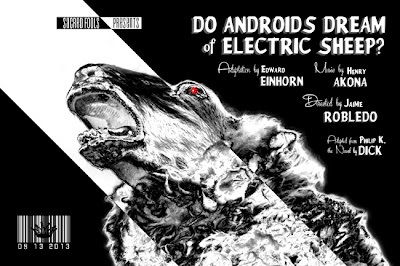 More details of this event will be posted once the date, time, and place are confirmed. And remember to follow @OffWorldNews on Twitter to receive these and other Blade Runner related news items, (including movie showings, specials, and auction items not featured in this newsletter), as it comes in. And you can follow us on Pinterest.